The 2019 British GT Championship comes to life this weekend with the first competitive action of the season. As has become tradition the field steer a course to Little Budworth in Cheshire, the home of MotorSport Vision‘s Oulton Park venue, for an Easter weekend double header. What is not traditional is the grid size, 38 cars makes the class of 2019 the largest full season entry in championship history. What Happened in 2018 at Oulton Park? The first race of 2018 was a history making encounter. Flick Haigh became the first woman to claim an outright race victory in the British GT Championship. Working with team mate Jonny Adam, Haigh drove a impressive first stint handing the Aston Martin Racing professional a dominant lead. Even so, fantastic pace for the Barwell Motorsport Lamborghini Huracan of Phil Keen in the second half of the race could have denied us history. Contact with a GT4 car round the back of the circuit robbed us of a battle royale between the Aston and Lamborghini factory racers and sealed the result. The final result in GT3 saw front engine machines dominate the podium. Darren Turner took second with his ‘Am’ team mate Andrew Howard while Yelmer Buurman and Lee Mowle claimed third. The ERC Sport Mercedes-AMG GT3 was unable to match the pace of the Beechdean AMR Aston Martin. A trio of Barwell Motorsport Lamborghini’s sat just off the podium ahead of the Bentley of Ian Loggie and Callum MacLeod. Race 2 should have seen battle rejoined between Keen and Adam at the start of the race but fate intervened. An off track excursion on the way to the grid knocked out the Aston Martin of the championship leaders. Rain was the news in race two, after three laps behind the McLaren 570S safety car, the race was abandoned. Lamborghini of Keen and Jon Minshaw took the un-opposed win. TF Sport claimed a 2-3 finish with the Derek Johnson/Marco Sorensen #17 ahead of the Mark Farmer/Nicki Thiim driven #11. In GT4 it was a McLaren 1-2 for race 1. Adam Balon and former BARC Formula Renault racer Ben Barnicoat holding a ten second advantage ofer the Tolman Motorsport run Michael O’Brien and Charlie Fagg. The sole interloper in a McLaren top 6 was the Century Motorsport run BMW M4 GT4. Ben Tuck and Ben Green drove a strong race to third place, a mere 3.151 seconds behind the Tolman car. Race 2 was of course a procession with the safety car out for all three laps. That meant that despite the well known rule that you don’t get points for Saturday, qualifying success meant prizes. Nick Jones and Scott Malvern took the top spot for Team Parker Racing in the Mercedes GT4 offering. Ginetta began their farewell tour, though no-one knew at the time that the Yorkshire marque wouldn’t be present in 2019, with second place. Little did anyone know that it would represent the G55’s penultimate visit to the podium in British GT. Third was taken the Ricky Collard and Jack Mitchell driven Century BMW. You can read the full race report for race 1 here. The first thing to spot is that the reigning champion isn’t on the grid. Half of the partnership returns in the form of Jonny Adam, now pared with Graham Davidson. Both drivers are switching teams, Davidson from the Jetstream Motorsport outfit who have not returned and Adam from Optimum Motorsport who have. Adam has raced for TF Sport before so will know the outfit. They are by no means the only strong pairing in GT3 either. In fact they are not the only strong pairing in an Aston Martin. Mark Farmer is joined by Nicki Thiim in the second TF Sport entry. Andrew Howard’s Beechdean AMR return to the championship with a new co-driver in the form of Marco Sorensen. All four V8 Vantage GT3 machines are the new for 2019 car. Also running new cars are Team Parker Racing and JRM Racing. The former are down to a single car with Glynn Geddie and Ryan Ratcliffe at the wheel. Its the JRM machine that is expected to claim the Bentley Continetal GT3 fans and column inches as the former GT1 World Championship protagonists have recruited the services of the 2017 championship winning pair, Rick Parfitt Jnr and Seb Morris. BMW are also back in the top class with two M6 GT3 machines thanks to Century Motorsport but its the Lamborghini entries from Barwell which are likely to provide the biggest challenge to the Aston Martins and Bentleys. Phil Keen is joined by Adam Balon who graduates from GT4 after an impressive season. The second year pairing of Sam De Haan and Jonny Cocker have both team familiarity and a strong media day test on their side. The Barwell Motorsport team have always over-performed at Oulton Park too, a circuit more favorable to a traditional GT than a supercar. Second year customer racing cars from Mercedes-AMG and McLaren have the advantage of greater development on their side. The Mercedes has the advantage of familiarity to the teams. Team ABBA have been running their car for two years now and RAM Racing are Mercedes fans from the days of the SLS AMG GT3. McLaren is in the hands of serial GT Cup champions Balfe Motorsport, but the car itself is brand new and the team may need a bit of time to get up to speed with the 720S’s foibles. The GT3 question has to be, will the newer cars have the reliability to cope with the high full throttle percentage, bumpy and twisty, Oulton Park circuit? Or will it favour the older, more developed cars from BMW, Mercedes and McLaren? Early indications would seem to lean towards the new machines. Strong performances particularly for the Lamborghini in early season 24 hour races and a fifth place for the Beechdean car in the recent Michelin Le Mans Cup curtain raiser show that the newer cars have picked up where their predecessors left off. And of course manufacturers don’t spend millions developing new GT3 cars to go slower than the old model. GT4 would, on the face of it appear to be an easier call. The exodus from Ginetta is total with the only 2018 Ginetta team still on the grid switching from Garforth’s G55 to the Woking built 570S GT4. Five McLarens, each a potential race winner, will line up on the grid. The teams are betting in a different direction though. 2018 boasted just two elderly Aston Martin V8 Vantage GT4 machines. This year 7 brand new V8 Vantages, each equipped with a Mercedes built, Banbury approved turbo-charged 4.0l V8, will line up. This last point is the key. While we have an abundance of new cars in the GT4 field, all carry proven technology. It makes betting against the new machines a fools game. The spanner in the works is the Ford Mustang GT4s of Multimatic Motorsports and RACE Performance. Though not awash with success in the US, where last year the car ran a full season of Blancpain GT World Challenge, the car did claim its sole victory at Watkins Glen International. That is arguably the most Oulton Park-like of all the US circuits and could well see the American machine do well. Balance of Performance isn’t likely to be an issue either as the SRO, who run British GT, also run the American series so will have good data on the car in comparison to the more European options. Asking someone to pick a winner is almost cruel. There just isn’t enough data on the new cars in both classes to base a decision on. If pressed though, the Lamborghini from Barwell Motorsport and the TF and Beechdean run Aston Martins are likely to be the most impressive GT3 cars. The new Bentley is either driven by a crew with little luck in Cheshire or run by a team with a steep learning curve as they switch back to GT racing for the first time in years. Exactly the same point is true of the big Benz, which would seem to be the third most likely model to have success. In GT4 I think we are going to have to back the McLaren. Its been building to a crescendo for the last two years of British GT and the depth of knowledge for the teams running the cars is impressive. HHC might struggle a little as they adapt from the relatively basic, front engine-rear drive, Ginetta to the mid-rear technological marvel that is the 570s but Tolman are well up to speed with the Woking weapon and have the backing of the manufacturer. Only a fool would bet against. If you fancy being a fool though, again its the Aston Martin that stands out. TF and Beechdean both have experience with the car having run them in other races over the winter months. Optimum Motorsport don’t do anything without thinking it out thoroughly first and all have had a massive test programme headed into the 2019 British GT Championship season. The topography of the circuit favors a well set up front engine car too, especially one with a big low-stress V8 to drag a car from the few big stops up hill. WHERE CAN I WATCH THE BRITISH GT AT OULTON PARK? All necessary ticket information is available on the MSV website, with advanced tickets still purchasable and details regarding on-the-gate purchases also on display. Each race, in addition to a selection of the supporting races, will be streamed live on the British GT’s Facebook page. If you’re unable to attend the opening races live or watch through the various streaming services available, you can keep updated with all the action here at The Checkered Flag. 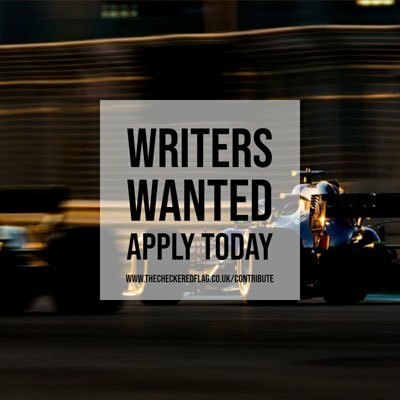 We’ll be offering you in-depth reports of all the action from practice, qualifying and the races in addition to a number of exclusive interviews from drivers and teams as the drama unfolds.